A post office named Arden Station opened at this location in 1884 and was truncated to Arden in 1897. There are three explanations offered for the name. One is that it was selected by Walter R. Baker, then General Manager of the Manitoba and Northwestern Railway, after the English country residence of a railway official named Stobart. The second is that it was named by an early surveyor, a native of the Ardennes region of France, due to its similarity to his home. The third possibility is that the name commemorates a cook who was part of an early construction gang in the area. 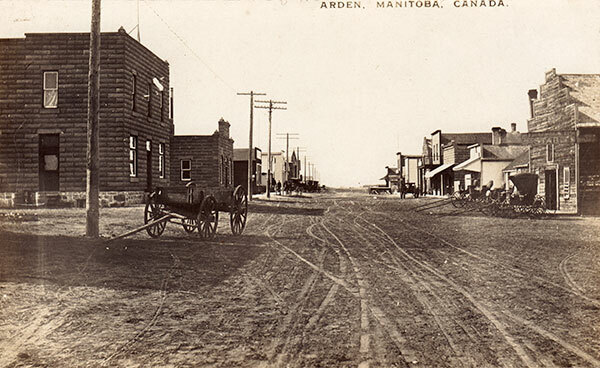 Go here for a list of historic sites in Arden.